Philippine National Police Director General Ronald “Bato” M. Dela Rosa has issued the following crime prevention tips in preparation for All Saints’ Day and All Souls’ Day next week. Filipinos prepare to visit public and private cemeteries across the country to pay respects to their dearly departed this weekend. Bring sufficient food and water, and keep in mind that liquor and food sold by vendors inside cemeteries are prohibited. Bring protection against heat and rain. Do not bring deadly or bladed weapons, loud speakers or guitar center’s axe fx ultra which could amplify loud music from stereos, and gambling paraphernalia. Remind children not to roam around especially in crowded areas. Have them wear or bring a form of identification. Keep the surroundings clean and bring your own trash bag to put garbage in. Know where the first aid stations and PNP assistance booth are in case of emergency or need for police assistance. Make sure the vehicle is roadworthy, and follow the “BLOWBAG” rule which is B for Battery; L for Light; O for Oil; W for Water; B for Brakes; A for Air; and G for Gas. Bring all pertinent documents for the vehicle, including the Insurance Certificate. Ensure control of the vehicle at all times. Avoid one-handed driving or using a mobile phone; avoid driving while drunk or sleepy. When driving at night, always use headlights and signal lights. Don’t drive when you have poor eyesight. Don’t wear jewelry or bring large amounts of money. Keep watch over your mobile phone. Do not bring too many items. 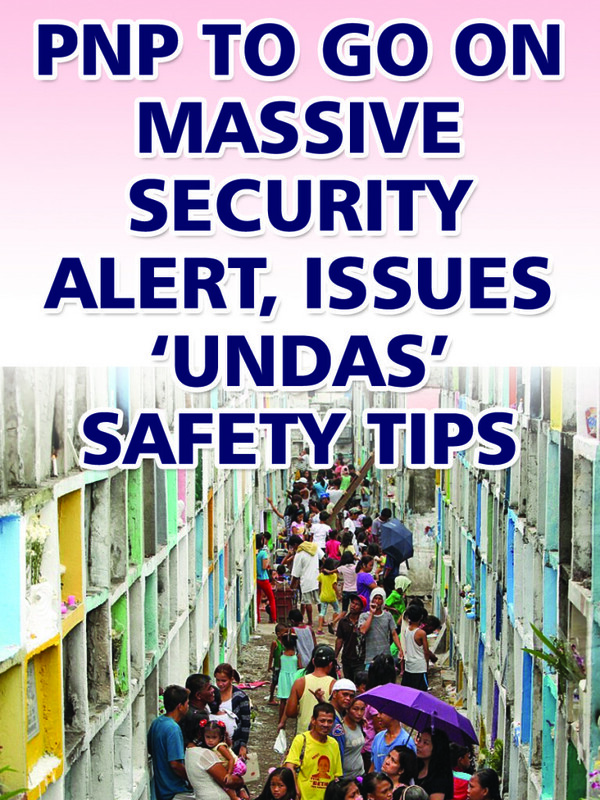 This entry was posted in Holidays, Occasion, Safety tips, Travel and tagged All Saints' Day, All Souls' Day, Araw ng mga Patay 2016, public safety, Undas 2016, Undas safety tips 2016 on October 26, 2016 by Yami.